What if I told you that most of the data you're churning out on a daily basis goes through a rural county that is most well known for pastures, farms and scenic views of the Blue Ridge Mountains? Because of happenstance, prudent public policy, proximity of the federal government and a little bit of luck. Northern Virginia and Ashburn in particular has become home to many of the Internet's leading data center companies. With so many good options available, choosing a data center provider in Ashburn, Virginia, requires due diligence. Considering the critical role of data and increased adoption of cloud computing and the Internet of Things, small to mid-sized enterprises would do well to evaluate data centers beyond their hardware and software capabilities. A data center’s site location is equally important. 451 Research’s Multi-Tenant Data Center Market report last year listed Northern Virginia as the top multi-tenant data center (MTDC) market in the US by operational square feet. Northern Virginia has surpassed the New Jersey—New York area as home to the largest wholesale data center buildings in the U.S. According to 451 Research’s Kelly Morgan, there's more data center space in Northern Virginia than in all of Canada. Half of the Northern Virginia data center market is in Ashburn, with the surrounding area in Loudon County covering the other half. The data center space in Ashburn covers over 9 million square feet (840,000 sq. mi. ), with two-thirds already fully operational and the remaining third currently under construction. Enterprises in the market for colocation space are quick to choose Ashburn because the area has controlled access to a large part of the Internet as a whole since it hosted the MAE-East exchange over twenty years ago. On top of that, Ashburn offers tax incentives, competitive power costs, and has more available land than Silicon Valley and the New York/New Jersey areas. In fact, data center incentives are best-in-class in the region with a five percent tax exemption on servers, chillers, generators, and server-related equipment. Additionally, you don't have the threat of earthquakes as there are in California or the hyper-density of the NY/NJ region. To find the best data center providers in Ashburn, it pays to do your homework. Some organizations prefer to employ a set of site-selection criteria with emphasis on cost and availability of both power infrastructure and WAN (wide area network). Others tend to prioritize socioeconomic, environmental, and governmental factors. 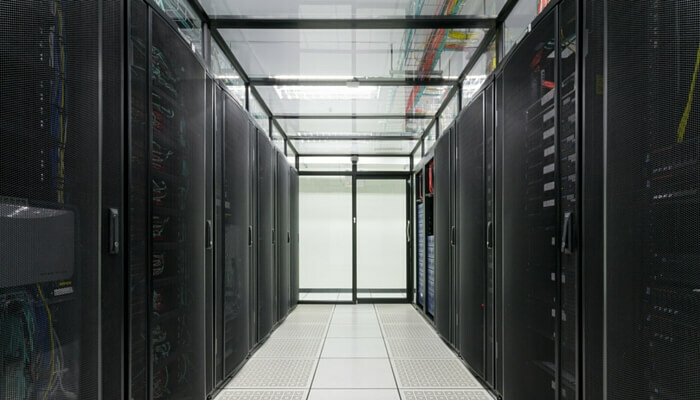 Whatever your site-selection criteria for selecting data centers, we’ve outlined an overview of your data center options in Ashburn so you can determine which option is best for you. In 1998, Equinix built its first data center in Ashburn with the mission of providing a “carrier-neutral” facility offering access to Internet backbone providers. Eighteen years later, Equinix is considered the world’s largest data center provider and is breaking ground on a brand new Ashburn campus. This new Ashburn infrastructure is estimated to grow to 1 million square feet of gross building space, with a build-out that could potentially cost $1 billion over the next decade. Infrastructure work has already begun on the new cloud campus which will likely start operating in 2017. Currently, Equinix operates 10 data centers in Northern Virginia with nearly 500,000 square feet of colocation space and more than 200 networks connected. Update: Atlantech offers direct connection to the Equinix Cloud Exchange via our growing fiber network, as well as offering VoIP and data center services to ECX customers. If you're on the cloud exchange or would like a fiber connection in the Ashburn area, contact us right away! Digital Realty, a pioneer in offering “turn-key” data center space, completed its $1.9 billion acquisition of Telx in October of last year. As one of the largest players in the data center multi-tenant market, Digital Realty’s Ashburn campus houses 1.5 million square feet of data center space in eight buildings. The data center giant has invested $950 million in the first eight facilities. They will spend another $300 million to complete the ninth and tenth building. Currently, Digital Realty provides data center support to large organizations including Amazon Web Services and LinkedIn. With 1.6 million square feet of data center space spread across 6 large buildings in Ashburn, it may not come as a surprise that DFT’s clients include Facebook and Microsoft. DFT’s ACC7, the sixth on the company’s 1.6 million-square-foot space in Ashburn, provides as much as 41.6 megawatts of power. Each room is about 8,500 square feet, can relatively hold about 380 server cabinets, and can provide 1 to 2 megawatts of power. DFT and its super wholesale data center customers (large companies who prefer to lease data center space rather than build one) have invested more than $1.2 billion in infrastructure in its Ashburn facility. Atlantech Online's growing network provides fiber connectivity to businesses in Ashburn, but our data centers actually sit 30 miles away in both Rockville and Silver Spring, Maryland. While our actual data centers are not technically in Ashburn, they are connected to Ashburn because of the metro area rings of Atlantech's fiber network . Both data centers are connected directly to a multi-substation power grid with online battery and diesel generator backups and with contracts to fuel providers to run indefinitely. For this reason, our clients enjoy low latency peering relationships direct to their data center with high-speed, high-bandwidth fiber connectivity. We also provide our own internet business-class phone service solutions. Think of us as a 'one-stop' source for your business communication needs. Thanks to Atlantech, when your phone and internet service provider is also your data center solution, business operations run more efficiently and smoothly. Upload, download, and disaster recovery are quicker when you’re on a dedicated network. You don’t have to share bandwidth with the entire Internet and you don’t have to send your data around the world before it makes its way to and from your servers. So yes, our data center is actually 30 miles outside of Ashburn. But we're close by and our fiber network, our ECX connections, and our dedication to customer support make us a great option. If you are reading this, you are looking for a data center in Ashburn. There's many to choose from—many more than we listed here. All of them have their pros and cons, pricing models, and customer support. But that's not the extent of their differences. We recommend talking to multiple providers and asking the tough questions to make sure your business is getting the service you need, at a price you can afford. Fully evaluate each of your options and go with the data center provider that best meets your needs. We would like Atlantech to be one of the providers you evaluate. We can offer you fantastic support, we're located nearby, and we can simplify your communication structure with our phone and fiber connectivity options. 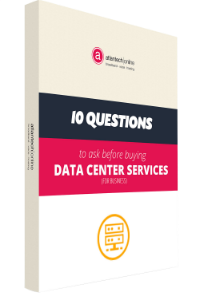 For more information on how Atlantech may be the perfect fit for your organization, talk to one of our data center support professionals today.